Quality decisions can only be based on complete data. How can you ensure the quality of decisions when advertising costs are collected in a number of different systems, user interactions with the website are tracked in another system, and the data about offline orders is stored somewhere else? Moreover, there are email campaigns, phone calls, competitors’ prices, etc., — a whole plethora of factors one should consider on the journey to business success. Everything is connected. Even the slightest changes to your website, ads, product prices, etc., can significantly affect your whole business. Business intelligence is essentially what helps you mine, analyze, and use to your advantage all the data across all your customers’ touchpoints. How to set up Google Analytics to collect data about user behavior on your website. 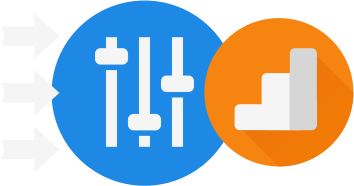 How to import cost data for all your advertising campaigns into Google Analytics and Google BigQuery. How to piece together data from your website, mobile app, ad services, ERP/CRM, call tracking systems, email marketing services, and price intelligence systems. What systems to connect, and in what order, to create a functional business intelligence system. In addition, we’ll show examples of practical reports in Google Data Studio and Google Sheets, and how you can use the reports. For example, to discover keywords that help generate more offline sales than online sales. Or, to calculate the optimal price for your products, considering prices of your competitors. Big data analysts, data scientists, marketing specialists, and anyone looking to get the most value out of the collected data.